Do you have questions about lawsuits for injuries suffered in electric blanket fires? 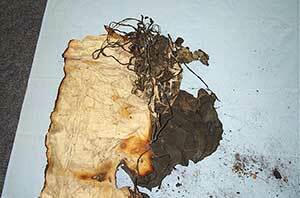 According to some sources, each year there are as many as 5,000 electric blanket fires. We tend to think of electric blankets as safe household devices. But if used, they should be used with caution, and you should remember that their use involves risks. How can you avoid the risks inherent in using an electric blanket? Here are some helpful ideas. Can you see any frayed wires? Does the plug spark when you plug it in? Does there seem to be anything wrong with the control device? Are there holes in the blanket’s fabric? Has the blanket been folded up and stored for a long time (i.e., stored folded, not flat)? If you answer “yes” to any one of these questions, do not use the blanket, and dispose of it properly. Today’s quality electric blankets should come equipped with a number of safety features, which are explained in their how-to materials—including approval by UL. (Check for the UL tag! See information above.) Be sure to read carefully all instructions included with the blanket and always obey them. The blanket should be equipped with an automatic shutoff. Do not use an electric blanket on or near flammable bedding materials—including, for example, plastic mattress or pillow covers. Never place an object—such as books, an electronic tablet or laptop, or piles of clothing—on top of an electric blanket. If the blanket is turned on, this can result in a fire. When it’s not in use, keep the blanket turned off and unplugged. In fact, when you want to use it, it’s best to allow the blanket to heat the bed and then turn it off and unplug it before going to bed. With infants and/or young children. If you suffer from neuralgia or other issues such as numbness or tingling in the extremities. If you have been drinking alcohol or are taking medications that cause excessive drowsiness. Have you or has someone you know suffered personal injury or property loss based on an electric blanket fire? Please call the Warshauer-McLaughlin Law Group, P.C. at (720) 420-9800 or email us—we can help!